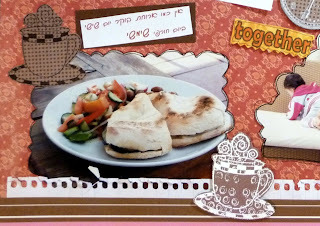 This is my album page of one great morning. It says in Hebrew that it's the funnest thing to have breakfast on a sunny winter day (especially with such a cute girl and hubby (you can't see here ;-)). 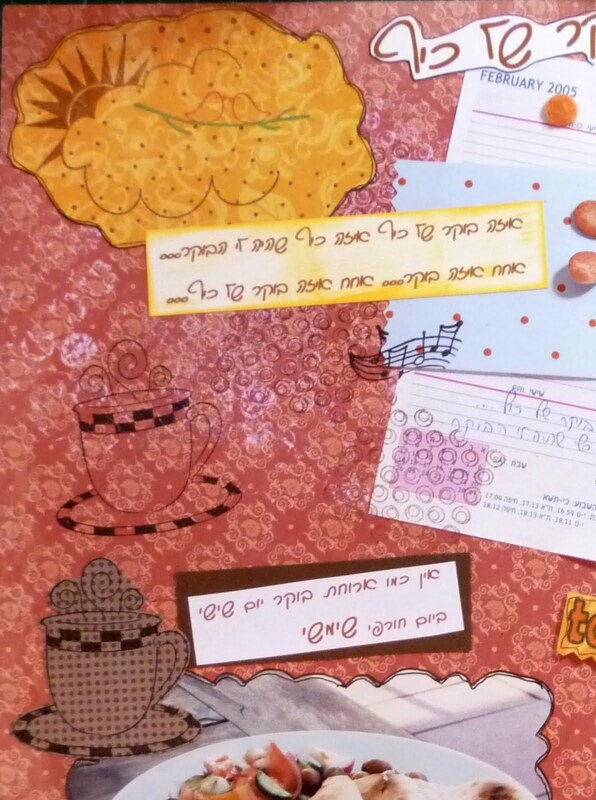 It also reminds me of the song "Ho what a beautiful morning what a wonderful day..."
I used several UNITY stamps from the 10/09 & 09/09 kit and also (hard to see) the background kit. ברוכה הבאה , אני שמחה שהצטרפת. What a nice layout and welcome to Unity's FWF! Beautiful layout! Great work with all of the Unity stamps! Very cute pages! Great layouts and colors! דפים יפיפיים,אהבתי את הקפה ושילוב טכניקות שונות. Wow! Beautiful layout! Great job with all of the Unity stamps!